A lovely 3rd floor Valletta Apartment located on the beautiful Marsamxett side of Valletta with full on views of the harbour, exactly opposite the historic fortifications of Manoel Island. Superb views. A passenger lift is available for guests. 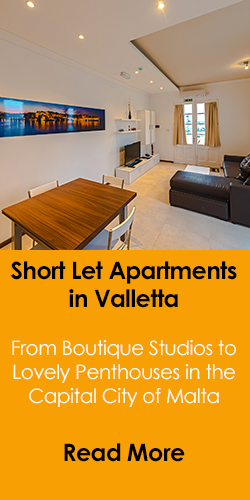 A beautiful apartment rental in Valletta with a fully fitted kitchen and spacious living room with sofa bed, this is the ideal space for those who are looking for upmarket holiday accommodation in Valletta. A unique apartment in the heart of this buzzing capital city. 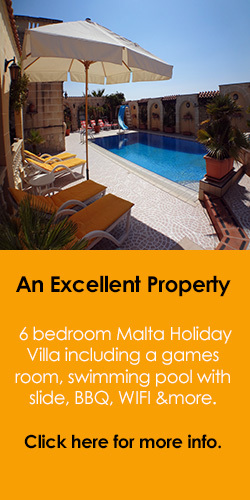 A charming Valletta studio/apartment rental situated in an old building in the Capital of Malta. Suitable for 2 persons who want to explore this historic city. Just a few minutes walk to museums, cafes , restaurants and the central bus station. A compact air-conditioned one bedroom apartment in central Valletta. Kitchenette, flat-screen TV, sofa and microwave. Close to the local parliament building. Great location. 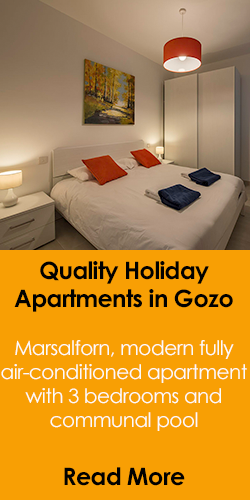 Maisonette type apartment featuring a balcony, private entrance, and a fully equipped kitchen. This Valletta apartment includes a washing machine, a separate living room with a sofa and a walk-in wardrobe. Wow !! a traditional Valletta apartment tastefully modernized by its owners. 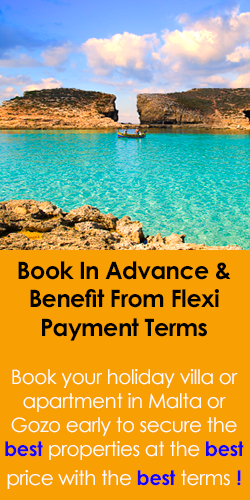 centrally located in the heart of the vibrant capital city of valletta. Located on the ground floor of this apartment block of only 3 units. Enjoys beautiful views from the roof terrace. A spacious Valletta apartment recently redecorated and refurbished. 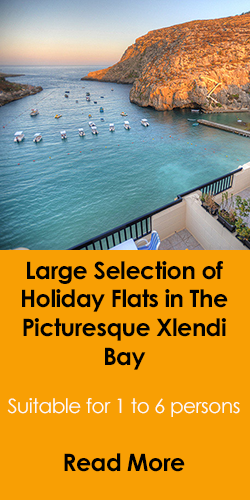 Located in the heart of Valletta and close to all amenities. This first floor apartment forms part of an apartment block of only 3 units and enjoys the shared use of a roof terrace. 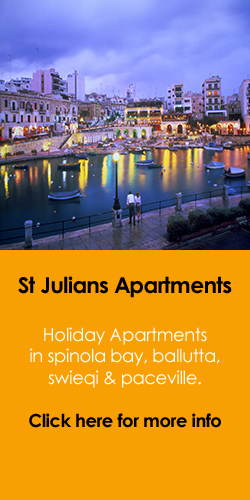 Central Studio Apartment rentals in Valletta, Malta offering accommodation on a self catering basis. Located in the city centre and a few minutes walk to the upper barrakka with stunning views of the harbour. Central Apartment in an excellent location of the capital city of Malta available for self catering accommodation in Valletta. Minutes away from museums, churches, art galleries, cafes. Excellent location. Central apartment to let in Valletta. This city centre studio apartment is only a few minutes walk to all the attractions available in the capital city of Malta, including a laid back and bohemian type of nightlife. Cosy hideaway property to let in the heart of the capital city Valletta. A one bedroom apartment rental equipped with one bedroom, a kitchen, large shower, washing machine, TV, DVD, Internet. Tastefully furnished to modern standards.